Visual design and IA by Julia Stoops of Blue Mouse Monkey. We handled project management and development. 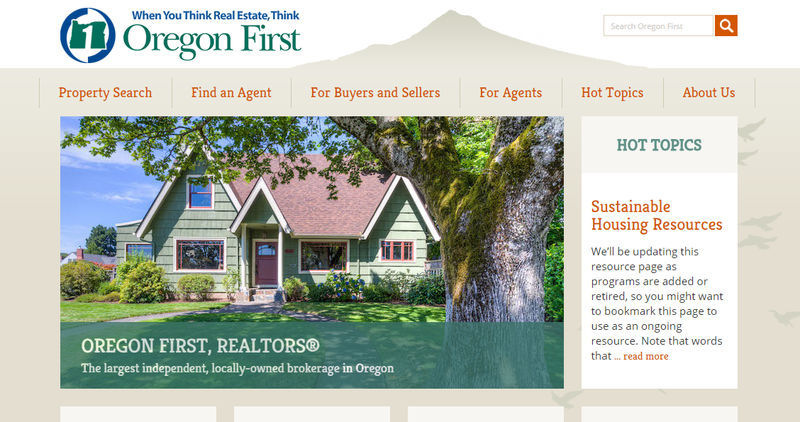 The challenge was to bring together Julia’s beautiful design vision and the technical limitations of a predetermined software solution, chosen by Oregon First, to handle the integration of RMLS data. Site features multiple property search functions, a searchable directory of ~300 agents, blog, and an agent-only “knowledge compendium” – a private area accessible only to agents where they can share information. Live site here.